Posted: December 25, 2010 10:36 p.m. Updated: December 25, 2010 10:36 p.m.
Keri Ross, of Saugus, and her son Joshua react to winning the sixth annual Paint It Forward prize from A. Allbright Painting of Valencia. Ross, a recent widow, will receive an exterior house paint job valued at $7,500. Joshua Abramson, president of Valencia’s A. Allbright Painting, presents Keri Ross and her son Joshua, 7, of Saugus, with the sixth annual Paint It Forward prize on Dec. 16. The prize is awarded each year to a family or organization in need. Ross, a recent widow, needed an exterior paint job on her home to meet homeowners association requirements. Recent widow Keri Ross had a bright spot in her holiday season when A. Allbright Painting of Valencia came knocking on her front door on Dec. 16. Company president Joshua Abramson led a team of employees through Ross’ Saugus neighborhood and carried a large check in the amount of $7,500 for an exterior paint job to be completed in January or February 2011. 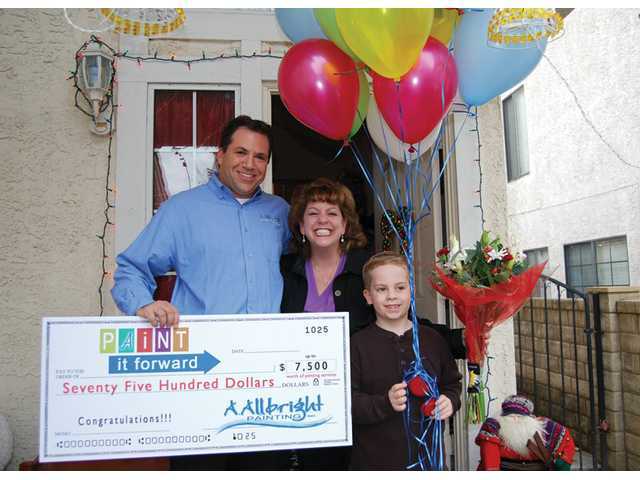 Ross was the recipient of the sixth annual A. Allbright Painting’s Paint it Forward charity award, created in 2005 by employees as a way to give back to the community by using their painting talents. Each year, A. Allbright’s staff and customers vote on nominations sent in by family and friends. Ross was submitted by longtime friend Michelle Davidhoff. “Keri had been having a real hard time. She had lost her husband eight months ago and has a 7-year-old son. 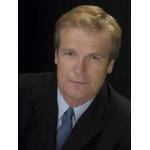 She hasn’t been able to work full-time since, so I thought this would be something nice,” Davidhoff said. So did the Paint It Forward contest voters, who chose Ross in a landslide, according to Abramson. Another reason was the age of husband Brad Ross, who suffered a massive heart attack while playing video games with his son, Joshua, and died on May 2, 2010. He was just 42 and in seemingly good health. After the holidays, Ross will meet with Abramson to determine a color palette that’s in accordance with her HOA restrictions. “Nothing too crazy, but something to make it look brighter and nicer. It might be overwhelming for my son to change colors. He says he’s worried about being able to find the house,” she said. While Ross, a psychologist, acknowledged the holiday season has been tough with the loss of her husband, receiving the Paint It Forward prize has made things a little easier. For more information on Paint It Forward, visit www.aallbright.com or call (661) 294-1159.